Corsica has more than 200 beaches and some of the most beautiful wild spaces of the Mediterranean. The Corsican coast is remarkably well preserved, especially compared to places more tarnished by mass tourism. The Corsican people have fought very hard and are still fighting to preserve their breathtaking coastline from the greed of real estate and tourism industry. As a result, in Corsica it’s still possible to find a wild, beautiful sandy bay with turquoise water, and yet have absolutely no infrastructure near it. Which means some (but not all) of those beaches are not very easy to reach: for those who expect a well-built parking lot and showers on the beach, go to the French Riviera. Those who want to enjoy a beautiful landscape in peace and feel a little bit more like Robinson Crusoe should come to Corsica. The whole coastline is beautiful and we have plenty of pretty beaches, so it is hard to make a selection, but here is mine. Santa Giulia (or Santa Ghjulia, as it is spelled in Corsican) is my personal favorite. 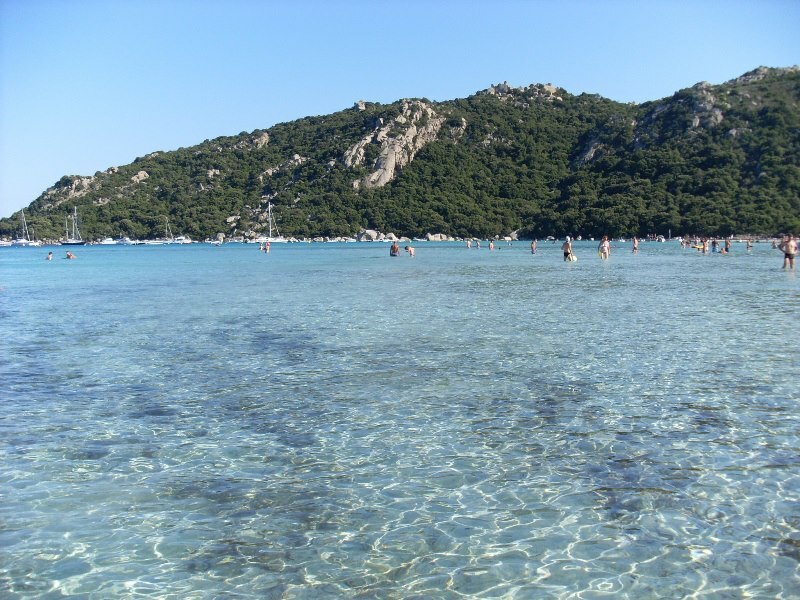 Located south of Porto-Vecchio on the east coast, this bay is named after Saint Julia, the patroness of Corsica. It is a dream come true, a lagoon of turquoise, shallow water and a 2 km long stretch of fine white sand. Located south of Porto Vecchio on the east coast, it is one of those Mediterranean places that rival the tropics. 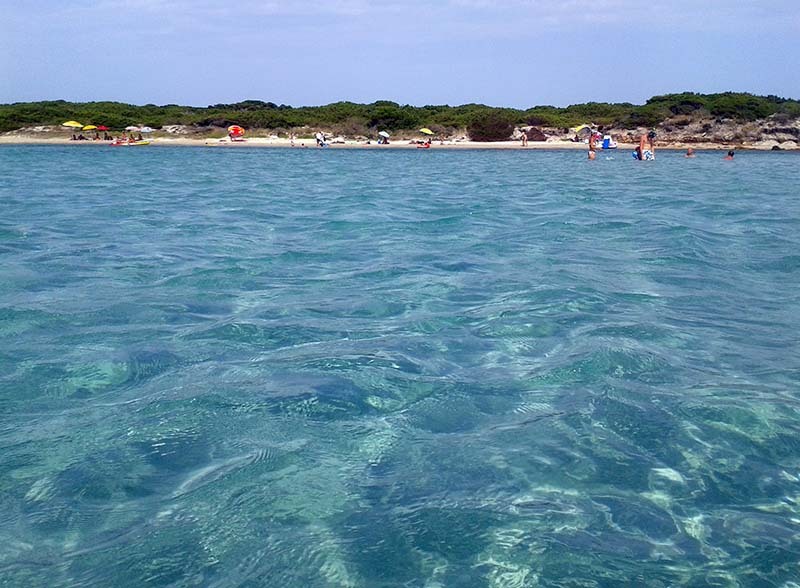 Why spend 15 hours on a plane when you can have a lagoon right in the Mediterranean sea? For a wilder experience, choose a spot at the very end of the bay. There, you can literally walk in shallow lagoon-like water all the way to a group of rocks that lie in the bay. Those rocks are fun, you can do snorkeling around them and you can dive from them without any danger, as when you reach that place the water is deep enough to jump right in. There are several free parking spaces a few minutes walk away from the shore, but they are messy and it can be challenging to find space. There is a somewhat less messy, closer parking space for a 5 euro fee. You can rent a kayak or a pedal boat or several other fun ways to explore this magnificent bay. 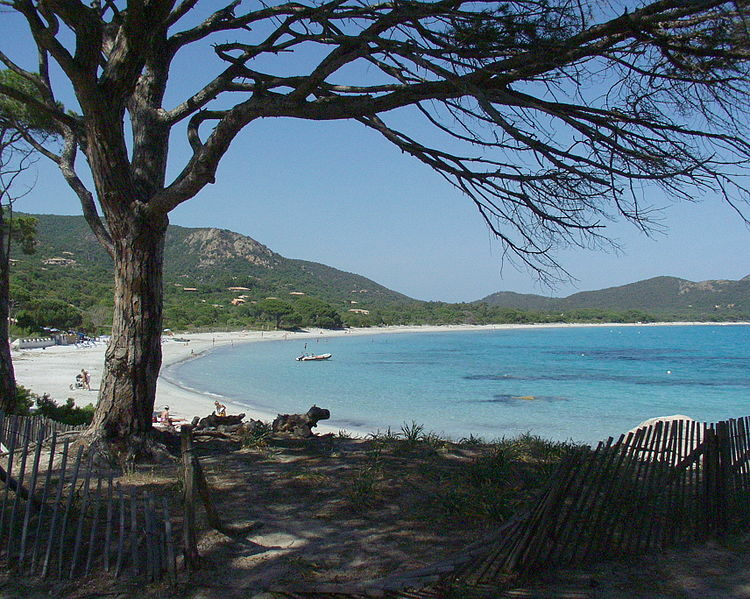 Palombaggia, spelled Palumbaghja in Corsican, is probably the most famous beach in Corsica. 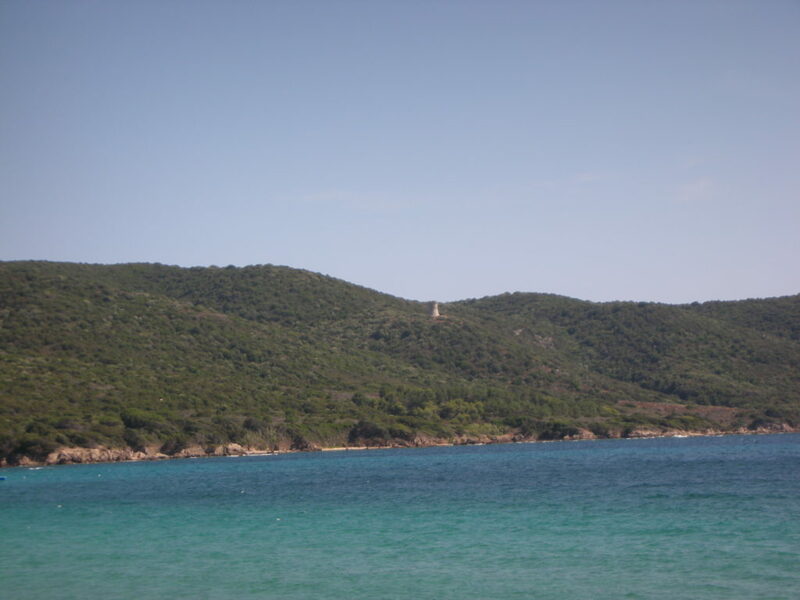 It is located just south of Porto-Vecchio. A wonderful cove of white sand and turquoise water, with red rocks and lush mediterranean pine trees, it is loved by celebrities and locals alike. It is so popular that it can be a bit full in the summer time, but even at the busiest times you can still see the true beauty of the place and enjoy it to the fullest. This is another gem of the Corsican coast. This perfectly round bay with crystal clear water is located between Porto Vecchio and Bonifacio on the southern eastern coast. It’s a favorite place for yachts which come to anchor in its shallow lagoon. If you come by car, once you see the bay from the windy narrow road that goes down the hill, you’ll think you’ve died and gone to heaven. These two beaches are close to each other, on the northern coast of Corsica, in the gulf of Saint Florent (San Fiurenzu). You can visit both in the same day. They can be reached either by boat from the harbor of Saint Florent (15min ride, frequent departures) or by 4WD from one of the villages up the hills. The beach of Lotu (or Loto) is a little paradise. It has shallow crystal clear water, fine sand, and a breathtaking view to the Cape of Corsica and its pastel-colored mountains right in front of you. Trust me, when that boat comes back to pick you up, you’ll go hiding in the hills. Saleccia is famous because some of the scenes of the movie „The longest day“ were actually shot there, even though they are supposed to happen in Normandy. But there is nothing grey or rainy about that piece of heaven: clear turquoise water, white sand, a jungle of mediterranean pine trees and blue skies await you. The beach is 1 km long and there is plenty of space. This is a wonderfully wild, unspoiled bay on the northern coast of Corsica, east of Isula Rossa (Ile Rousse). It’s rather easy to find but parking is bit hard and you need to walk down the hill (10 minutes walk) to reach the bay. Basically, you leave the road going from Ponte Leccia to Ile Rousse and Calvi just when you hit the coastline, and you find yourself entering the former road which is now abandoned and has become the parking space for that beach. Park your car along that road and walk down the beautiful hill on the rocky path towards the bay. The view of this amazing bay with a river joining the sea will be rewarding you during the short walk. The beach is large and the only thing you can see is the wild mountains on one side and the sea horizon on the other side. No buildings, just nature: this is true Corsica! This piece of paradise is located south west, south of Propriano. From the road going to Bonifacio, you can see that the bay lies beneath a rock shaped like a lion. The animal figure seems to be lying on top of the hill overlooking the bay. There is a camping site close to the beach. It is a small bay with truly beautiful water and a wonderfully wild landscape around, starting with that funny lion-shaped rock looking at you. The beach of Verghja has several names; Verghja is the location, but the beach is also commonly called “Mare e Sole”, sea and sun: what could go wrong with a name like that? 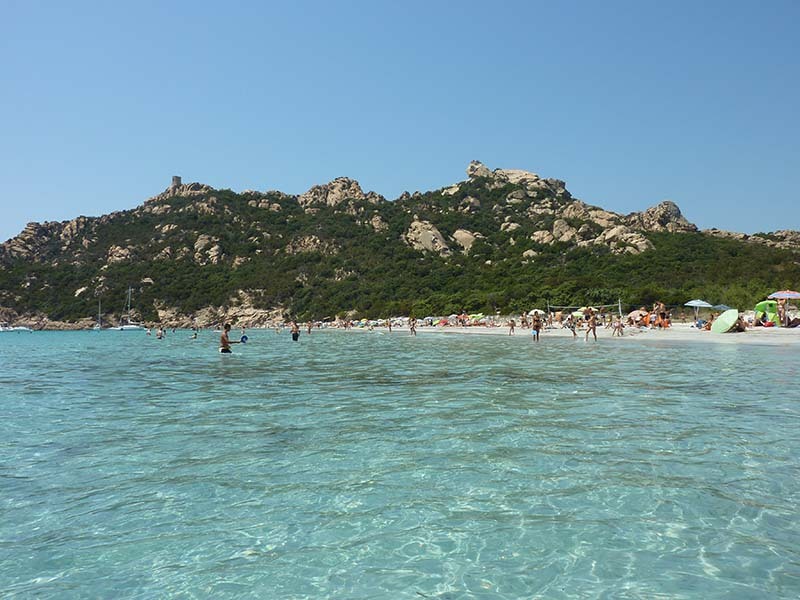 It is located on the southern bank of the gulf of Ajaccio, just a 10 minutes drive from the popular beach resort of Porticcio, you can find this gorgeous bay of crystal clear water and fine sand which is a very popular weekend treat for Ajaccio locals. The beach is long and large, the landscape entirely wild, and the view to the gulf of Ajaccio and the „Sanguinaire“ islands at the end of the bay is simply magnificent. Many real estate developers have tried to get their hands on that amazing location to build holiday houses or restaurants. Thankfully, they have been unsuccessful so far, because we are adamant about protecting our landscapes. You can rent a kayak or a pedal boat to explore the large bay. The „lagoon“ of Piantarella is located near Bonifacio at the southern tip of the island. It is facing the beautiful Lavezzi islands which kind of resemble the Maledives: clear water, amazing views, lots of activities possible. If you want a little adventure, rent a kayak and spend the day exploring the area: there are tiny islands around where you can play Robinson Crusoe. 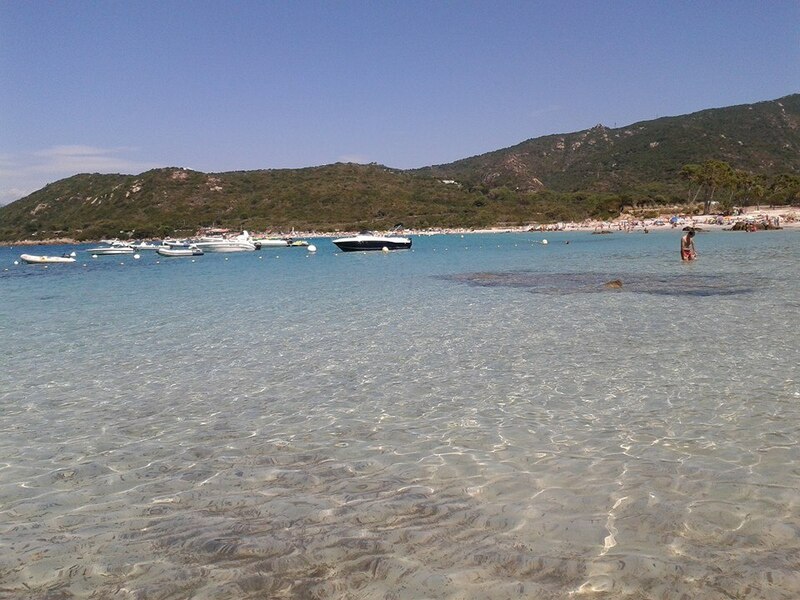 This is one of these gorgeous coves of white sand and blue water that Corsica offers in spades. It is located just between the gulf of Ajaccio and the gulf of Propriano, and the road connecting them offers spectacular viewpoints. Next to the beach, you can find one of the many Genoese towers that stand all along the Corsican coastline, testimony of a time when the island had to be guarded against pirates. What about you? 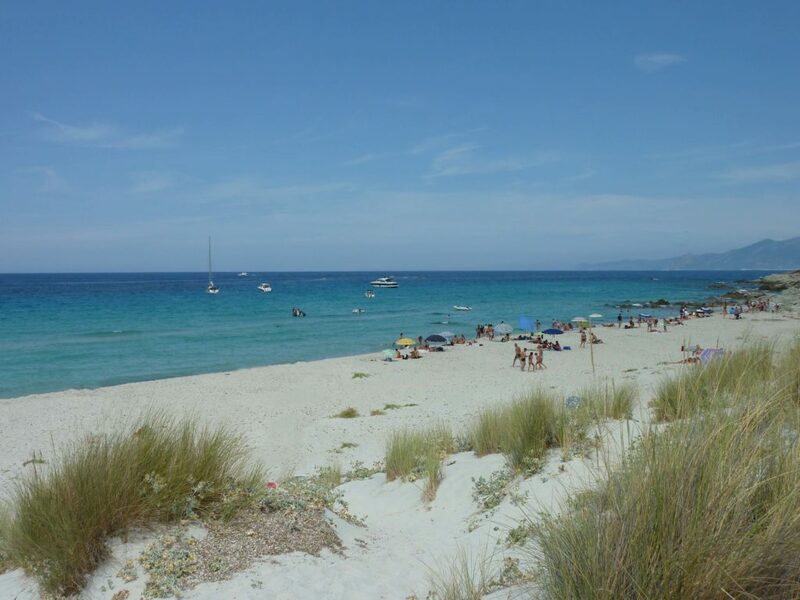 What are your favorite Corsican beaches?